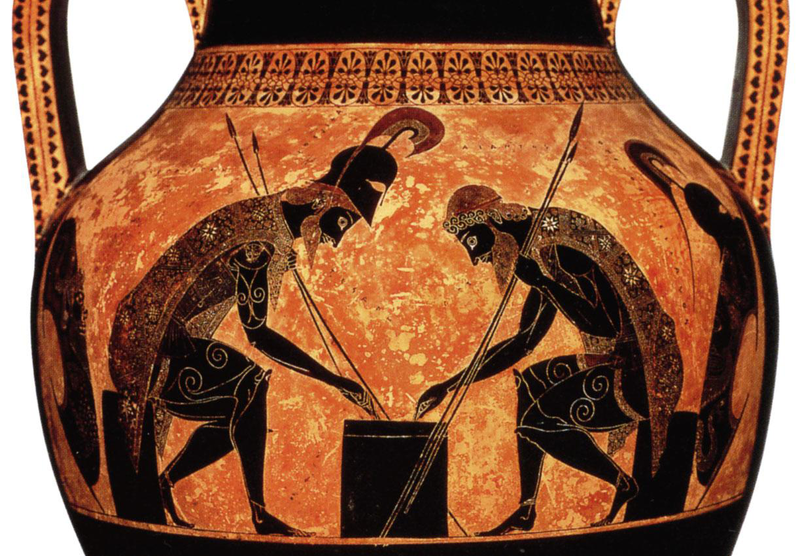 "Achilles and Ajax Playing Dice"
Signed by Exekias as both potter and painter, this amphora is an example of the black-figured painting technique popular during this era and originating in Attica. The scene depicted, although not described in the Iliad, shows the influence of Homer. Achilles and Ajax Playing Dice. Black-figured aphora signed by Exekias. Wikipedia page about the potter and painter Exekias.